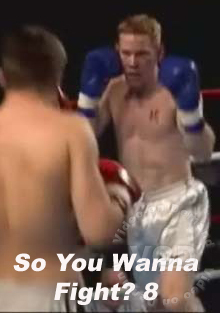 Series: So You Wanna Fight? So You Wanna Fight put average Joe's like you and me, and casts them into a boxing ring so they can show off what they have in the squared circle. The fights are real, the intensity is electrifying, and one person emerges victorious in the end. Watch as these modern day gladiators vanquish their foes and settle the score!